Betty Lee Holbrook was born on March 28, 1925, to Susie Delilah Dickey and Ralph Wesley Holbrook in Jetmore, Kansas. 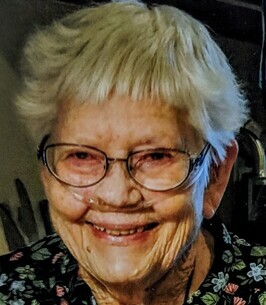 She left us on September 6, 2018, after a fall and short illness. Betty's early life wasn't easy. Her mother had tuberculosis and passed away when Betty was 6 years old. Because of the TB, Delilah was unable to take care of her children full time. Ralph was also unable to care for the children, so they were passed from grandparents to grandparents to aunts, uncles and friends. During a stay with an uncle, his favorite horse got sleeping sickness and had to be put down. When the rendering service came to take the horse, they left the hooves behind. Betty and Rex found one of them behind the barn and played with it as a pretend car. They loved pushing it around in the dirt and making miles and miles of roads. Her grandmother Holbrook used to walk her home from kindergarten. On the way home, they would pass an orphanage. Grandma told her that after kindergarten let out she was going to live at the orphanage. Betty's first thought was that it would be fun to play with all the children she saw out in the yard of the orphanage. These stories, and others, speak directly to her motto, which was, “Well, I can't change it so I might as well make the best of it.” She made the best of every situation throughout her entire life. Her Uncle Arthur Irvine had become a widower, left with 2 young children. He married a young woman by the name of Lula. When Uncle Arthur and Aunt Lula heard what was going to happen to Betty, Lula said they needed to drive to Jetmore to see Betty for themselves. After meeting her, Lula insisted that they take her back home with them to Enterprise, Kansas. Life in Enterprise was happy and stable for Betty. When she was about 14, she drove a milk truck with Uncle Arthur to deliver milk. Aunt Lula was the Home Economics teacher at Enterprise Academy, where Betty also attended high school. Her aunt gave her a lifelong love of sewing. After graduation, Betty attended Union College in Lincoln, Nebraska, and began studying to be a nurse. She loved her studies and nurse's aide responsibilities. Part of her training took her to the Boulder Sanitarium here in Boulder, and to Porter Memorial Hospital in Denver. It was here that Betty met her future husband, tall dark and handsome Anthony Gabriella. Betty and Anthony were married on September 13, 1948. She made her own gown from a Vogue pattern. Betty's brother, Rex, gave her away at the wedding. Her best friend, Dorothy Fleagle, was her maid of honor, with Anthony's brother,Thomas, as best man and brother, Angelo, as usher. In true Gabriella fashion, Anthony's other brother, Albert, and friend Bill Bell, were an hour late and missed the wedding altogether. They arrived in time for the cake. While in Lawton, Betty studied cosmetology at Lawton Beauty School and became a registered cosmetologist in January of 1953. She worked in a beauty salon in Lawton before coming back to Boulder with Anthony. She decided not to get her cosmetology license in Colorado since it would take so long to build up a new clientele. She worked as a clerk for Esquire for awhile, processing magazine mailings for the company. She and Anthony then moved to Cody, Wyoming, for Anthony to work as an x-ray technician. When they returned to Boulder, she was able to hire back on with Esquire, which then became Neodata. She retired from Neodata after 31 years. When Betty married into the Gabriella family, she finally felt that she had a real home and a family she had never had. The Gabriellas welcomed her with open arms. The wonderful times and memories she shared with them were priceless to her. Betty was never able to have children, but she and Anthony loved all their nieces and nephews, along with all the great-nieces and -nephews, as if they were their own kids. Each of them have special stories to tell of experiences with Uncle Anth and Aunt Betty. Betty and Anthony loved to travel. With the exception of the New England area, they traveled and camped all over the United States, including two trips to Alaska. They were train riders and train chasers. They never saw an old steam engine that they didn't admire! Camping trips with family members was always a highlight for them. Their first camper was an early 50s Chevy pick up with a conestoga type canvas cover. There was always an old rail road bed, mine or ghost town to explore. Anth and Betty loved old rusty things found along the way. They dug for ancient bottles near Leadville, Colorado, and climbed abandoned telephone poles to snitch colorful glass insulators. Betty more than once found herself in the cab of a greasy, smokey steam engine. They were friendly and made friends along the way. Anthony for years complained of their some breakfast guests glug-glugging his expensive pure maple syrup on the pancakes. Anthony usually had an old carbide miner's lamp hung in a tree dimly lighting the camp at night. As the years went by they had many campers and trailers and camped in luxury. Anthony and Betty went on their last camping trip when they were in their eighties. Betty had a mild stroke, from which she fully recovered, in February of 2017. After Anthony passed away in March of 2017, Betty was lonely without him. With the help of 24 hour caregivers, she was able to stay in the home they built and moved into in 1974. When her water heater went out in December, 2017, she moved to MorningStar Assisted Living while her home was being worked on. 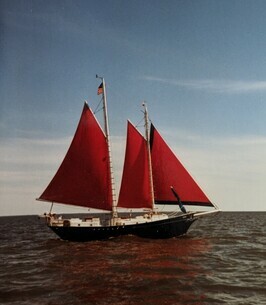 After the repairs were finished, she chose to stay at MorningStar. She enjoyed all the music, cooking classes, art projects, Bingo, Tuesday Happy Hours drinking her “sparkle water,” and having meals with new friends she had made. Betty had a fall in her apartment on the night of August 19. She didn't break any bones, but once at the hospital they discovered she had an infection and began giving her antibiotics. It took several days to find that the bacteria was in her blood. She was told she'd need to have two weeks of antibiotics administered through an IV. She chose not to do that. She didn't want any more poking and prodding, she was exhausted, and she was tired of being on this earth. During her last few days, she'd wake up and be irritated that she was still uncomfortably in her bed in her apartment and not in heaven with Anthony. She took her last breath peacefully at 7:30 am on September 6th, 2018. Her caregivers and staff at MorningStar all have expressed their love and admiration for her. As a family, we have been blessed by this woman who was kind, loving, gracious and fun. Our lives have been so touched by her love, and she will be greatly missed. Two days from now would have been Anthony and Betty's 70th anniversary. Celebrate with joy and happiness, Uncle and Auntie. We love you. To send flowers to the family of Betty Lee Gabriella, please visit our Heartfelt Sympathies Store.